and his beloved and cherished grandchildren, Nicholas, Olivia, Jackson, Hayden, Hayley, Hanna, Sofie and Ayvah. Barry is the son the late John Herbert Robert William Swan and Jean Waples Swan. and his great nieces and nephews. Barry was a proud dad and Grampa and a dedicated business man over the years. Barry moved to PEC in 1972 from Phelpston Ontario and made the County his home. which is known as Barry Swan Transport. Barry will be sadly missed for his sense of humour, his many "stories" that make him know as a 'Legend of PEC". from all over the world and has touched so many people. He had a love for the water, nature, gardening,"Swan Mountain" and Ostrander Point. 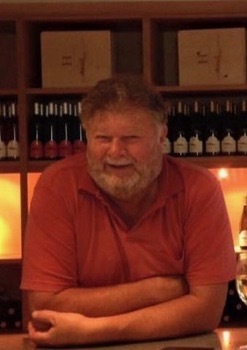 Barry was often known as "Swannie" or 'Big Bar". who provided dad with tremendous support and care over the past year and made him feel like he was "at home". Many thanks to PECMH for the exceptional care they provided to dad over the last few months. As per Barry's wishes cremation has taken place. on Friday, March 1stfrom 1-3 and 6-8 p.m.
on Saturday, March 2ndfrom 11:30 a.m. to 4:30 p.m.
We will love you for always, forgetting you never "